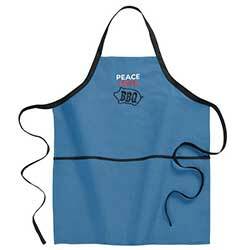 Tie one on with one of our aprons! 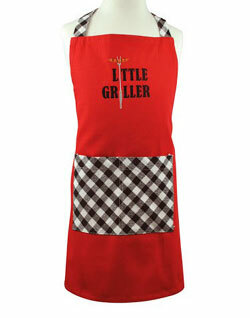 Available in a wide variety of styles and colors for both men and women, we also offer personalization options on several designs to create a unique custom gift! 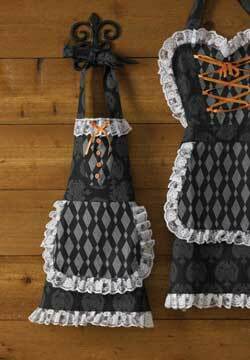 Café Demi Apron, by Tag. 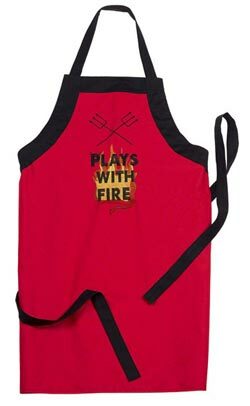 This half-apron is made from a cotton-flax woven blend, and features two pockets printed with contemporary chevron designs to help keep your best kitchen tools close at hand. Printed border is inspired by the organic shape of the coffee bean. Machine washable. Measures 22.25 x 30 inches. Part of the Coffee Addiction Collection. 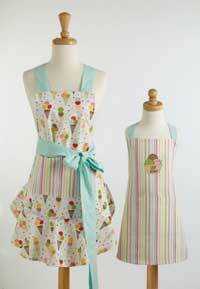 Lavender Smocked Apron, by Kay Dee Designs. 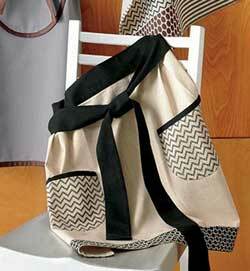 Feminine smocked waist, large ties in back, single side pocket. 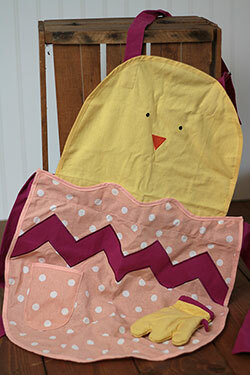 100% cotton fabrics in spring green and lavender purple. 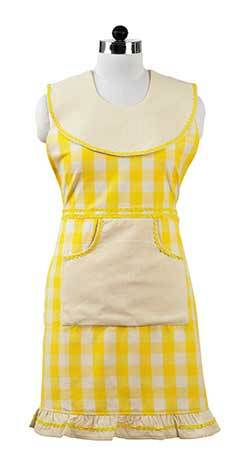 This cheerful apron features a buffalo check pattern of yellow and ivory, trimmed with yellow ric rack. 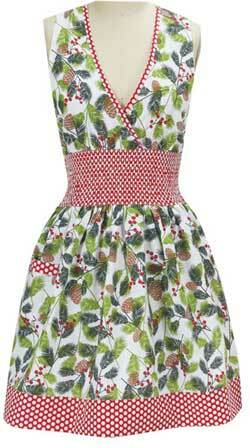 Woodland Holiday Smocked Apron, by Kay Dee Designs. The Woodland Collection features a beautiful wintery pattern of forest scenes, holly leaves, and animals. 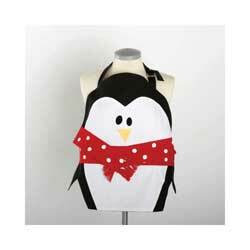 This is for the Smocked Apron. 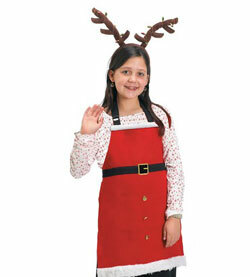 Feminine smocked waist, large ties in back, single side pocket. 100% cotton.